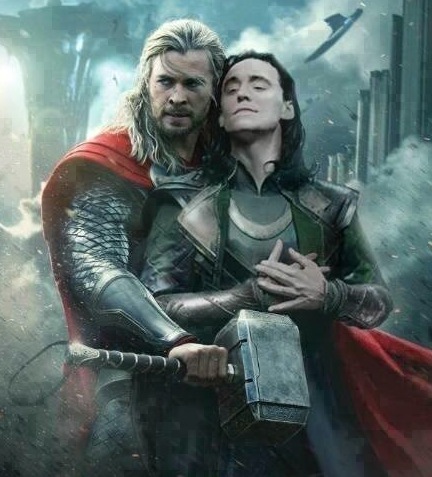 With Marvel Studio’s Thor 2: The Dark World being in theaters for almost 2 weeks now, I think its reasonably safe to list the Top 5 moments of this film. Remember though, this will obviously have tremendous spoilers. So if you’ve yet to see it, then go right now and do so – I’ll wait. . .Ok, while they’re gone, lets begin the countdown. Just in case you forgot who Thor was or just wanted more reasons to love him, then this scene at the start of the movie was made for you. Defeating a rock monster is pretty impressive, but shattering it with one strike of your hammer and then nonchalantly asking “Anyone else?” is the stuff that makes Chris Hemsworth own this role. Just as we were starting to see just how amazing a character Frigga is, she’s taken from us. Now this scene is on the list for more than just being emotional. Yes it makes the fight against Malekith more personal, but the main importance of this scene is seeing the effects it has on the main characters. Even the master trickster himself is brought to his breaking point by hearing of his mother’s death. With any Marvel movie, you just know there’s going to be at least one cut scene. Here we have two. The first of which (and the one taking the #3 spot) is the introduction of The Collector played by Benicio Del Toro. For those who don’t know, The Collector is an extremely powerful being who is not only billions of years old, but also can see glimpses of the future. This allows him to foresee threats to the universe, such as Thanos from The Avengers post-scene. Anyway, in order to combat such threats, he built a huge museum to keep things safe – ergo The Collector title. 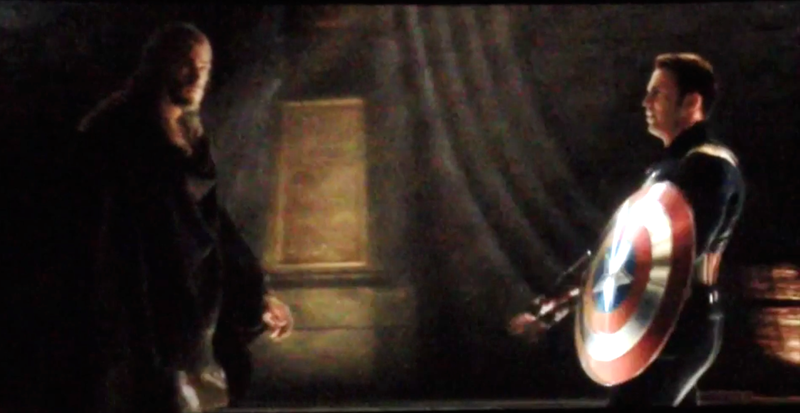 The second reason this scene is important is because it not only recognizes the Aether from Thor 2 as one of the 6 Infinity Gems, but also alludes to the Tesseract as being another. 2 gems identified, 4 to go. 2. Loki, King of Asgard? 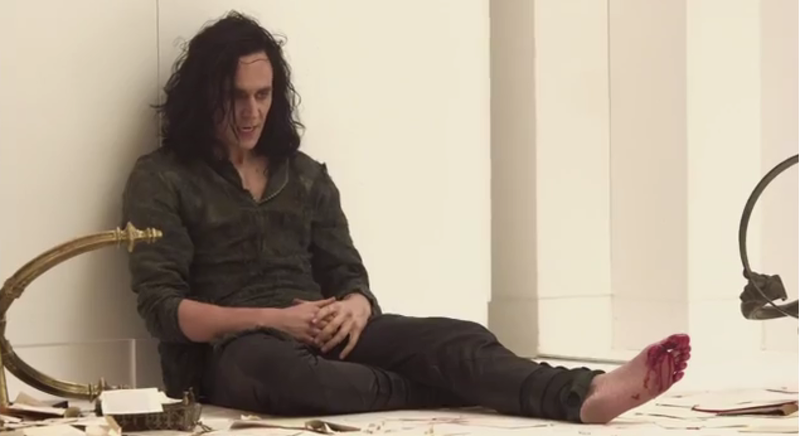 Unlike others who were shocked to see Loki alive, I knew it before this end scene happened. Remember when that guard game back from “The Dark World” to proclaim that they found a body? Well that guard was Loki in disguise. You could tell from the fading glimmer of green light. But that last scene with Odin was actually Loki in disguise? What? How? When? And more importantly, where’s Odin? According to Marvel, Odin is indeed dead. Director Alan Taylor and even Anthony Hopkins himself both confirmed this. 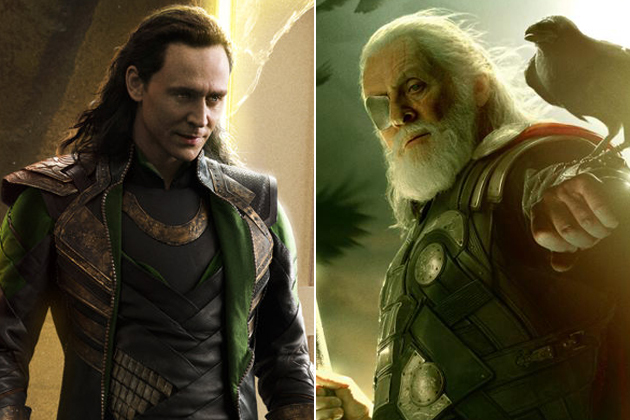 How Odin died, did Loki do it, and what this all could mean in the future I will discuss more in a future post. Can you feel the righteousness surging? Loki sure can. In what was possibly the funniest movie moment I’ve seen in quite a while, Loki jokingly disguises himself and Thor as various Marvel characters while leaving the Asgardian prison. This all culminates in Loki changing into one of Thor’s “new companions”, Captain America. Seeing Chris Evans portray the usually humble and pure-hearted Captain America with all of snark that Tom Hiddleston brings to Loki is what makes this hands down the #1 Moment of Thor 2: The Dark World. Watch this scene again and again here! I really agree! These were the probably the best moments!